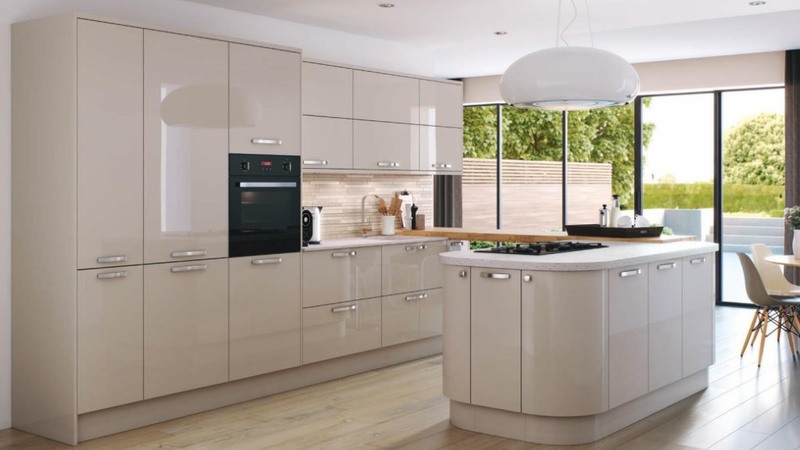 Hameldown gloss doors give a high gloss almost lacquered finish with versatility in both the number of kitchen doors available and the choice of three fantastic colours in cream, dune and white. 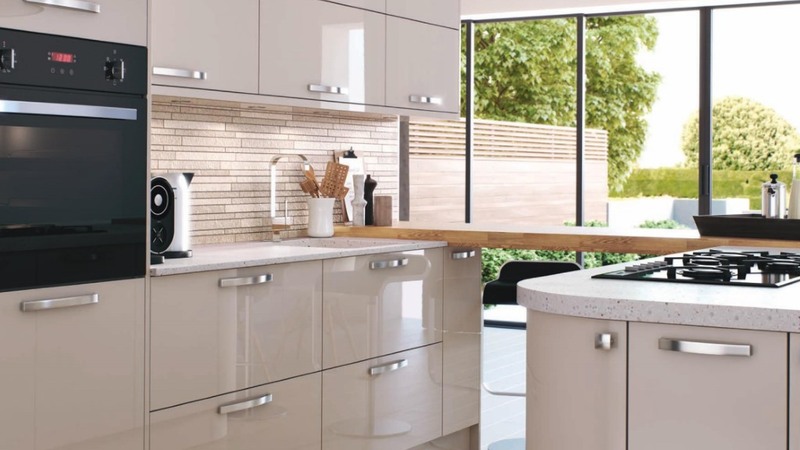 The Hameldown high gloss kitchen with a cream colour displays the natural warmth of the cream. 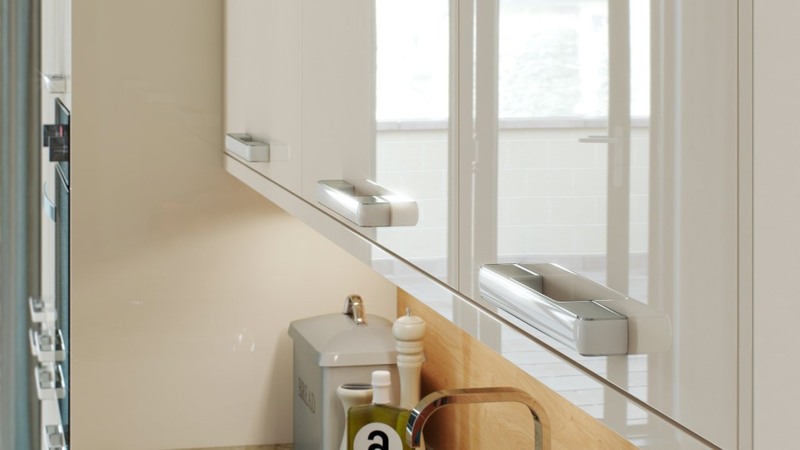 It is shown here with colour cordinated handles which add a subtle and different design feature. 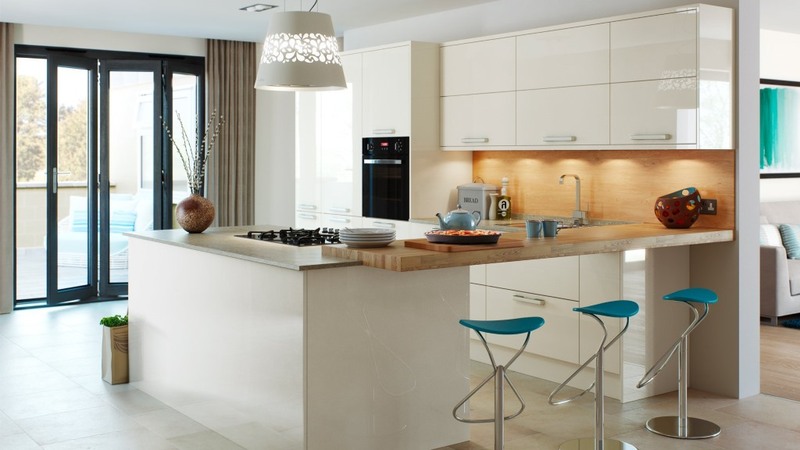 The Hameldown dune is a modern and chic alternative to other colours. 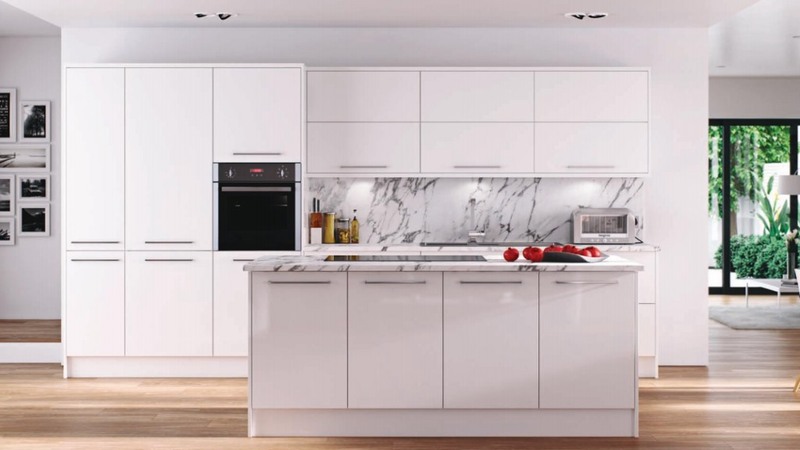 With a powerful design, large selection of door styles including curved it has the ability to adapt to many home and kitchen styles. 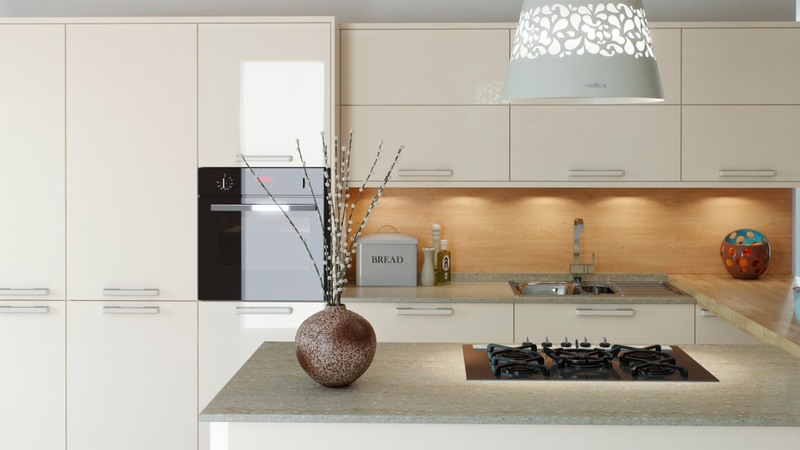 The ever fresh and bright white high gloss gives an almost mirror-like finish. It gives the Hameldown the perfect opportuniuty to display the versatility in design.